[*]Those who play for free. [*]Those who pay for a subscription. [*]Those who have the physical copy. [/list]Of course, there will probably be a lot of privileges for the latter two groups, but can you really complain? Apparently the game has exceptional combat, but my computer can't run anything like that. Have you heard of the Ouya? It's going to be a 2nd next generation console out of the gate, allowing it to be very cheap, with very cheap games. The game library is going to be made up of indie games, mainly. 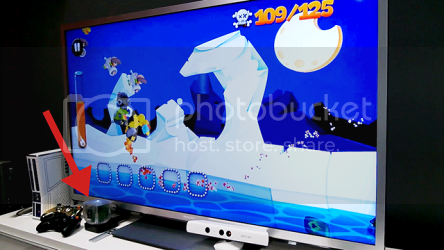 Anyways, the creators of the Ouya invited involved developers to submit their prototypes at an event known as CREATE. A panel of judges (including Phil Fish and Felicia Day) will determine the 10 best titles; the winning developer will receive $25,000. The finalists will be announced on February 11th, and the winner will be announced on the 18th. We'll keep you posted! Have you ever wondered why Mario and Luigi are fighting in the Super Smash Bros games? Well now there is a video explaining their rivalry and showing their fights in real life. I'll be honest, there wasn't much news tonight and I just wanted to end with something awesome. Enjoy! The cheap console looks...interesting. May have a few Indie hits, but nothing I'll seriously consider getting.